By ‘Gbenga Sesan, Executive Director of Paradigm Initiative, the pan-African digital rights and inclusion group. The government intensified the clampdown on freedom of expression, following the emergence of the 2015 Cybercrime Act that criminalized criticizing government officials online. In a report by the 1991 Presidential Commission set up to ensure a smooth transition to multipartyism, they stated that surveys showed that the multi-party system gave voters a wider choice of politics, parties and candidates than the one-party system. The Nyalali Commission recommended the formation of the office of the Registrar of Parties whose function as suggested was to register political parties. Since the advent of multipartyism in 1992, Tanzania has seen the opening of the political arena which represented every citizen and brought more competition to how the government accounted for its responsibilities. Opposition parties took up their roles as expected in a democracy, bringing diversity and critical scrutiny of government. A vibrant opposition started gaining more ground during the turn of the new century when they exposed the gray areas that the ruling party needed to address. However, since 2016, there has been an effective, if largely illegal, ban on political parties carrying out public meetings and rallies. Many opposition leaders, including Zitto Kabwe, have been arrested for violating the ban as well as making “anti-government” comments. While this ban has been strongly opposed, social media has been serving as a public space for the discussion of political and urgent matters of concern. At times, issues are taken up directly with political leaders on social media platforms such as Twitter. When online activist Mange Kimambi defied the ban and made a call for protests, several police commissioners and the minister of Home Affairs ensured the protests did not hold. Author: ‘Gbenga Sesan is the Executive Director of Paradigm Initiative, the pan-African digital rights and inclusion group. In May 2018, the Electronics Postal Communications Act came into play with vague regulations and sanctions to further stifle online rights. Not only are provisions of these law enablers of human rights violations, but they have also gone a step further into shrinking civic spaces. In late 2018, a bill proposing to amend some provisions of the Political Parties’ Act was brought to Parliament. The proposed amendments include giving enormous power and immunity to the political parties’ Registrar, who is an appointee of the ruling parties’ government, to act as a regulator and police all political parties. In these new amendments, the Registrar has the power to deregister, dismiss and request information at any time. While activists and the opposition have put up a fight to speak out against the draconian amendments, the ruling party has maintained an unsurprising silence. The bill also proposes jail time and hefty fines for breach of the law, still giving the Registrar the powers to manage internal affairs of political parties. A coalition of political parties approached the courts to block the government from bringing the political parties bill to the parliament but the coalition was turned down by the High Court, and was also asked to pay the government for inconvenience! 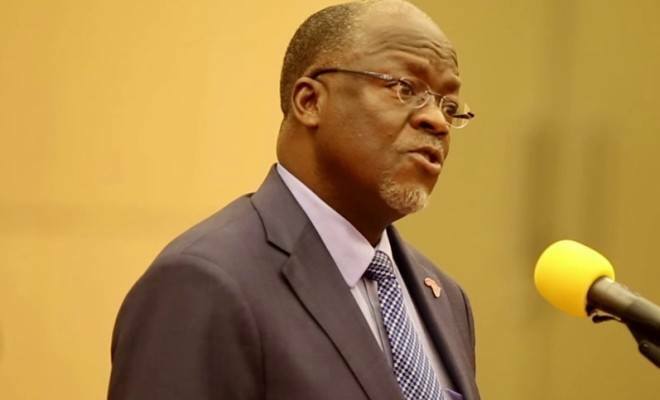 The government of President Magufuli appears to be in a sworn fight against freedom of expression and freedom of assembly – online and offline – and its stifling of opposition voices clearly contravenes the principles of democracy. As with many African governments, including that of my home country, Nigeria, the government of Tanzania is so afraid of criticism that any such voice is targeted through restrictive legislation. It is now unlawful to openly criticize through traditional media, online or even as members of opposing political parties. Is Tanzania heading towards totalitarianism, away from the democratic principles it has been identified with over the years? The Parliamentary Committee on Constitutional and Legal Affairs has questioned some of the legislative provisions that pose a threat to the country’s political diversity. At a press conference on January 27, 2019, members of the opposition commended the Committee for rejecting provisions such as granting the Registrar, Deputy Registrar and other officers immunity from prosecution. The committee also asked that section 6 of the bill be reworded to correspond with the current Political Parties’ Act and called for the removal of the provision thatbars political parties from operating as pressure groups. Unfortunately, when Parliament resumed this week, the bill was passed into law.